Hornsby has been president of the Association of Social and Behavioral Scientists and the Southern Conference on African American Studies. He has served on the executive council of the Association of Social and Behavioral Scientists, the Association for the Study of African American Life and History (ASALH) and the Southern Historical Association. 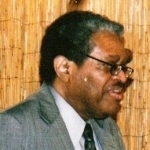 Dr. Alton Hornsby died in Atlanta, Georgia on September 1, 2017.